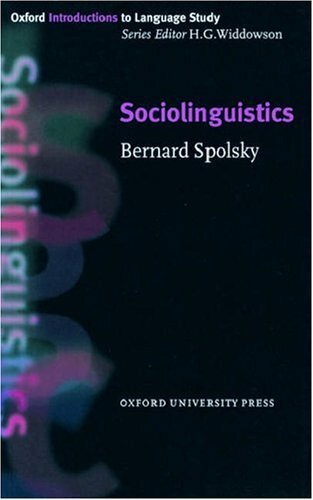 Oxford Introductions to Language Study - Sociolinguistics by Spolsky, Bernard; Widdowson, H.G. on ELTBOOKS - 20% OFF! *Brief, comprehensive introduction to the ways in which different groups of people use language, with links to history, politics and gender studies. 2,270 円 1,816 円 ∼ 20% OFF!